​The Spurs didn't got a win on Thursday night at Portland, however, DeMar DeRozan had himself a game. The California native finished with 35 points, 6 assists and 6 rebounds on 14-28 shooting, and this beautiful move on Evan Turner. ​​The Spurs are on a tough stretch right now, losing their last three games, but if DeMar can keep this level of play and the rest of the team starts defending at an elite level, this team could easily finish inside the top four of the Western Conference. 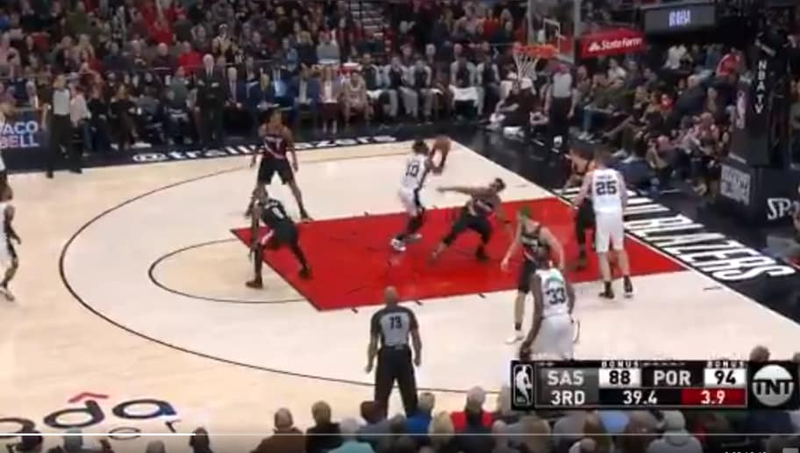 In addition to DeRozan, LaMarcus Aldridge finished with 17 points and 10 rebounds, but it clearly wasn't enough to come out with the W.
​The Spurs' annual "Rodeo Road Trip" started with three straight losses, but they are looking to bounce back on Saturday against the Utah Jazz, which could be a huge game due to the fact the two teams are separated by half a game.